Jesus Barraza is an interdisciplinary artist with a MFA in Social Practice and a Masters in Visual Critical Studies from California College of the Arts. He holds a BA in Raza Studies from San Francisco State University. He is a co-founder of Dignidad Rebelde a graphic arts collaboration that produces screen prints, political posters and multimedia projects and a member of JustSeeds Artists Cooperative a decentralized group of political artists based in Canada, the United States and Mexico. From 2003-2010 he was a partner at Tumis design studio where he worked as web developer, graphic designer and project manager. In 2003 he was a co-founder of the screen printing studio Taller Tupac Amaru that produced political posters and fine art prints. He is currently a lecturer in the Ethnic Studies department at UC Berkeley. Barraza has worked closely with numerous community organizations to create prints that visualize struggles for immigration rights, housing, education, and international solidarity. Printmaking allows Barraza to produce relevant images that can be put back into the hands of his community and spread throughout the world. He believes that through this work and the work of Dignidad Rebelde, he plays a role in keeping the history of graphic art activism alive. He proudly continues the tradition of graphic art in the spirit of Jose Gaudalupe Posada, OSPAAAL and Juan R. Fuentes, whose artwork has been part a pivotal part of social movements. 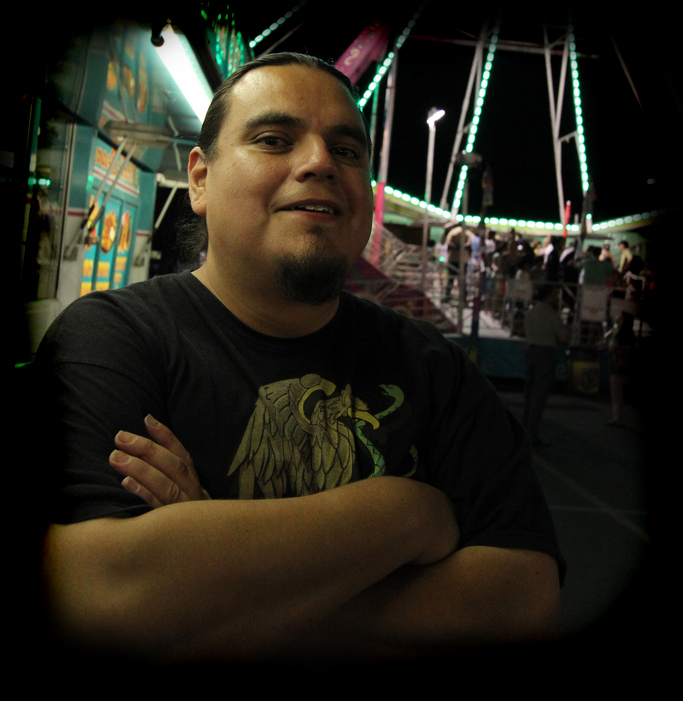 Barraza prides himself on his continued connection to his community and his availability as an activist artist who can be relied on for help. In September of 2014 Barraza led Dignidad Rebelde’s mural for the 5×5 Project, Washington DC’s largest temporary public art initiative as part of Stephanie Sherman’s Near Futures project. In June of 2014 Barraza participated in the exhibitChicano Dreams at the Musée d’Aquitaine in Bordeaux, France. In November 2013 Dignidad Rebelde presented their exhibition Future Ancestors at SoleSpace in Oakland and in September 2013 Barraza was invited to participate in the Embedded in Community: What Is Social Practice? panel at Leeway Foundation’s REVOLVE: An Art for Social Change Symposium. In 2015 he completed his MFA and received the Barclay Simpson Award, the Murphy and Cadogan Contemporary Art Award, and held his MFA exhibition at the Galeria de la Raza. Barraza has exhibited at Galeria de la Raza (San Francisco); Museum of Contemporary Native Arts (Santa Fe); El Paso Museum of Art (El Paso); de Young Museum (San Francisco); Mexican Fine Arts Center (Chicago); Yerba Buena Center for the Arts (San Francisco); and internationally at the House of Love & Dissent (Rome), Parco Museum (Tokyo), Museo de Arte de Ciudad Juarez (Mexico) and El Museo Nacional de Etnografía y Folklore (Bolivia). He was a 2005 artist-in-residence with Juan R. Fuentes at San Francisco’s prestigious de Young Museum, and is a recipient of the “Art is a Hammer” award in 2005 from the Center for the Study of Political Graphics and the “Exemplary Leadership Award” from the SFSU College of Ethnic Studies College in 2010.